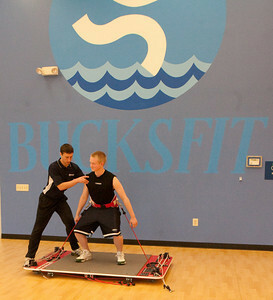 BucksFit offers professional, affordable and time efficient personal training for all levels of exercisers. Each of our trainers specializes in a certain type of client (from high school athletes to overworked professionals). Every client will be matched with a trainer who best suits their individual needs and goals. We truly believe that any client at any level can find the help and direction they require here at BucksFit. Our promise to you is that we will tailor a program to your specific needs and match the training to activities you enjoy. Get the most from your exercise time. Achieve your fitness goals and determine your own destiny with us at BucksFit. Getting started is the hardest part. You make the choice . . . we’ll supply the knowledge, technology and the enthusiasm. BucksFit offers a one-of-a-kind combination of cardio equipment, weight machines, traditional free weights, Olympic lifting weights and platforms and a pool. The mixture of the equipment and our staff’s expertise guarantees results that are unsurpassed. At BucksFit our staff is comprised of Certified Strength and Conditioning Specialists, Exercise Physiologists, Doctors of Physical Therapy and Athletic Trainers. If you are looking to enhance your performance in a specific sport, our staff has the expertise to design a program to meet your specific goals and give you the maximum benefit. There is a right and a wrong way to weight train, stretch and perform cardiovascular exercise. When done correctly and matched to an individual’s body type and biomechanics, most exercises are simple and safe. BucksFit trainers constantly supervise and coach to prevent injuries and to help you make sure you are performing the exercises correctly. Our programs are custom designed for the individual, group and/or team and we work with all ages, from those just starting out to professional athletes. Our physician-directed programs offer a multi-specialty approach to help you lose weight safely and effectively to promote a long-term, healthy lifestyle. Excessive weight or obesity is a complex medical problem. Affecting upwards of 60% of the US adult population, it can be a prime contributor to other serious medical problems. Our program believes that the cause of excessive weight is multi-faceted. Thus, overweight individuals need a multi-team, individualized approach to effectively help them lose weight and become healthier. If you have tried diets, over-the-counter aids, even tried “exercising” but either the weight didn’t come off or you gain it back quickly, our program is different. 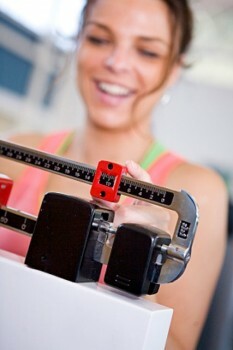 Various programs are available to help you achieve your desired weight loss. All of our programs are individualized and physician guided and managed. Program prices vary depending on the services desired and the length of your program.